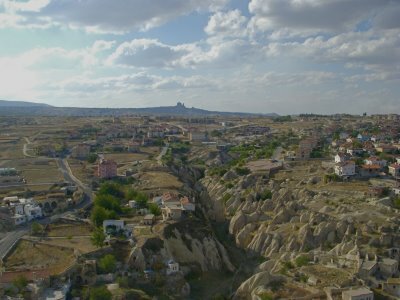 The village of Ortahisar is well worth the visit that resides only six kilometers from Urgup and three kilometers from Goreme. The high stone citadel dominates the non-touristic village. 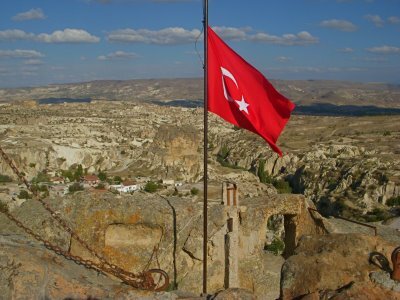 Ortahnisar is indeed a worthy option as an alternative base for Cappadocia, although conservative, but relaxed without the tourist syndrome. Ortahnisar is a quite farming village where sheep are walking the streets—the caves around the area store citrus fruits for the trade market. 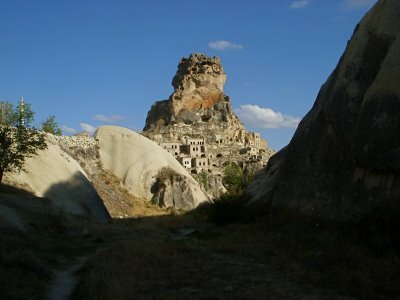 Ortahnisar is a major contrast from the energy of Goreme. Ortahnisar reminded me a little of the towns in the East. Climbing the citadel can be a challenge, it is straight up seventy meters to the top, climbing ladders and steps. At the top the view is beautiful, and well worth the climb. You can see Uchisar in the distance, I am heading there for a couple of nights and do a day trip tomorrow to an underground city. 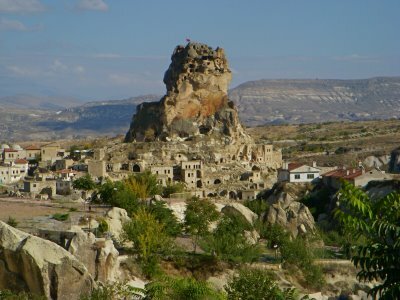 A couple of more days in Cappadocia and I will head to Tarsus. 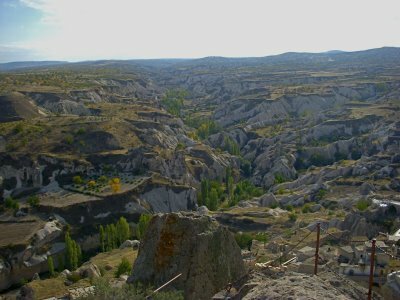 Next post: The Love Valley—Cappadocia. Previous post: Ailanpa Cafe & Wine House.